The '69 Copo Corvette was designed by Alec Tam. It is shared with its most desirable casting with Phil Riehlman's '69 Corvette. race-prepped Corvette is a road course race horse. 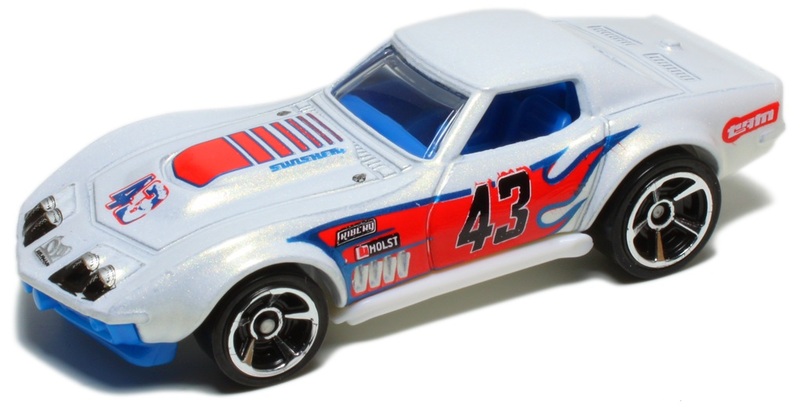 Color:   White  / Painted headligths, "Chevy" logo and "43" on hood. Racing sponsors and "43" inside flame on sides.